(Hong Kong - 1 August 2012) To celebrate its 35th anniversary, Ocean Park has produced a series of short documentaries titled “Ocean Park InsideTrax” to showcase the Park’s diligent and committed work behind the scenes with its animal ambassadors. Interviewing various animal keepers and trainers about their everyday work and experience with the animals, viewers are taken on a back-of-house tour through different animal exhibits to learn about what happens behind the scenes. 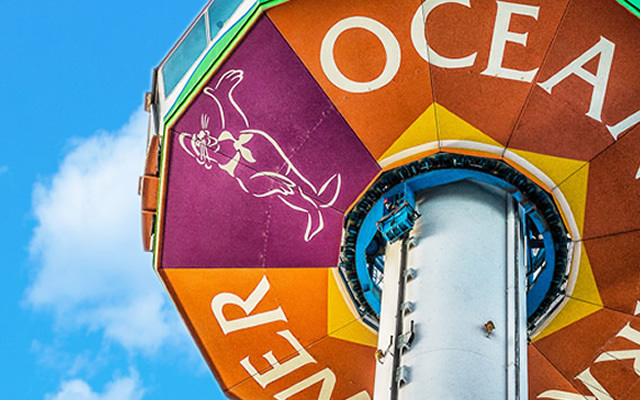 The various episodes will be sequentially posted over the coming months on the Ocean Park Channel, a brand-new online video platform and will be uploaded to Ocean Park’s YouTube Channel, Facebook fans page and the Park’s website. Versions with Traditional Chinese, Simplified Chinese and English subtitles are available. Announcements will be made through the various website, fan base and digital networks, as each episode is introduced. View the first episode and be amazed by the experience! Stay tuned for more episodes in the weeks to come. 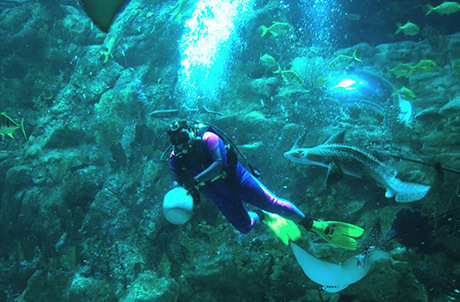 In various episodes of “Ocean Park InsideTrax,” programme host Donna brings the audience to a number of back-of-house facilities at attractions like the Grand Aquarium, Ocean Theatre and Giant Panda Adventure, as the Park’s different animal keepers reveal how they take care of the animal ambassadors. In the first episode “Life in the Aquarium”, aquarist Heeman presents the efforts in feeding the fish under his care, demonstrating above-water feeding and underwater feeding. Above all he shares with us his love for the fish and the ocean which is their home.